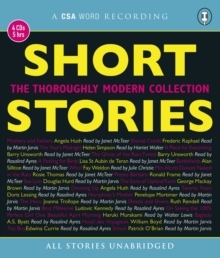 With this rich range of unabridged stories we celebrate the very best of contemporary writers and writing. Among others the collections features thriller writer Ruth Rendell, witty William Boyd, the Japanese literary sensation Haruki Murakami, ever-inventive Helen Simpson, and Patrick O'Brien, world-famous for his nautical series. Readers include top British actors Martin Jarvis, Rosalind Ayres and Janet McTeer.